As revealed at the 2017 Anaheim NAMM Show, KORG Gadget, the internationally acclaimed award winning music production is finally available for the Mac. * Intuitive and simple operation that delivers powerful music production. * Comes with "Gadget Plug-in Collection," a magnificent collection of plug-ins that support AU, VST, AAX, and NKS (*1). * Seamless connection between KORG Gadget for iOS and KORG Gadget for Mac enables a smooth workflow so you can produce music anytime and anywhere. (*1) NKS will be available in the future version. In addition, KORG Gadget for iOS version 3 will also be available February 28 and features the long-awaited Audio Track recording and playback. These gadgets elevate KORG Gadget into the realm of a true all-in-one production studio. 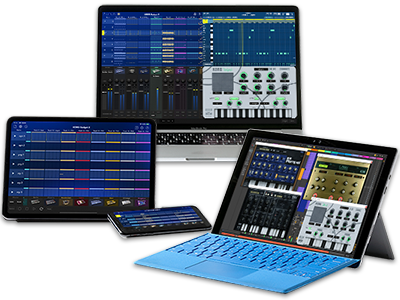 Home News Imagination becomes reality - "KORG Gadget for Mac", the all-in-one music production studio software, available February 28.